In response to New York Gov. Andrew Cuomo’s request to provide medical support to residents of Puerto Rico following the devastation of Hurricane María, Northwell Health deployed 27 employees Thursday to assist in the medical mission. 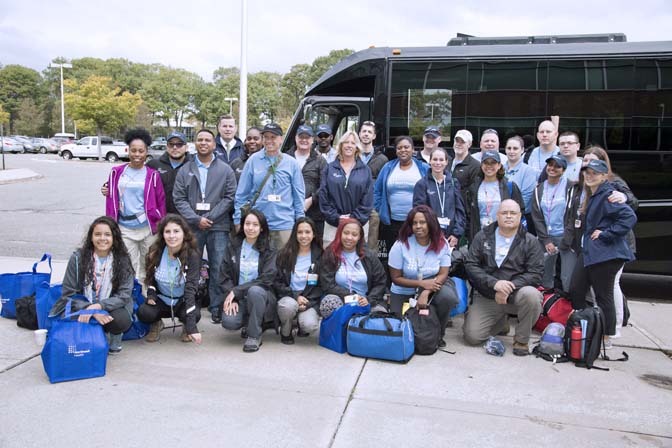 The Northwell contingent is part of a team of 78 New York hospital volunteers heading to the hurricane-raved island. In addition to supplying a team of nurses, physicians, medics, EMTs and other clinicians and administrators to help out with the medical mission, Northwell is donating $750,000 toward the effort, and shipping 60,000 pounds of supplies and personal hygiene products that were donated by the health system’s employees, the company said. The donated supplies — everything from cases of water to baby formula, diapers, batteries, toothpaste and cleaning supplies — will be transported on a container ship to Puerto Rico and the U.S. Virgin Islands and distributed by MedShare, a humanitarian organization that Northwell Health has worked with in response to numerous natural disasters over the years. The health system had previously donated about 800 boxes of clinical supplies such as surgical masks and catheters as well as pharmaceutical drugs to local hospitals through MedShare’s disaster relief program. Hey Buddy!, I found this information for you: "NY’s Northwell Health medical team deploys to PR". Here is the website link: https://newsismybusiness.com/northwell-medical-deploys/. Thank you.